Pinkadots Elementary : Happy Pi Day! Let's celebrate with a Math Sale! Happy Pi Day! Let's celebrate with a Math Sale! 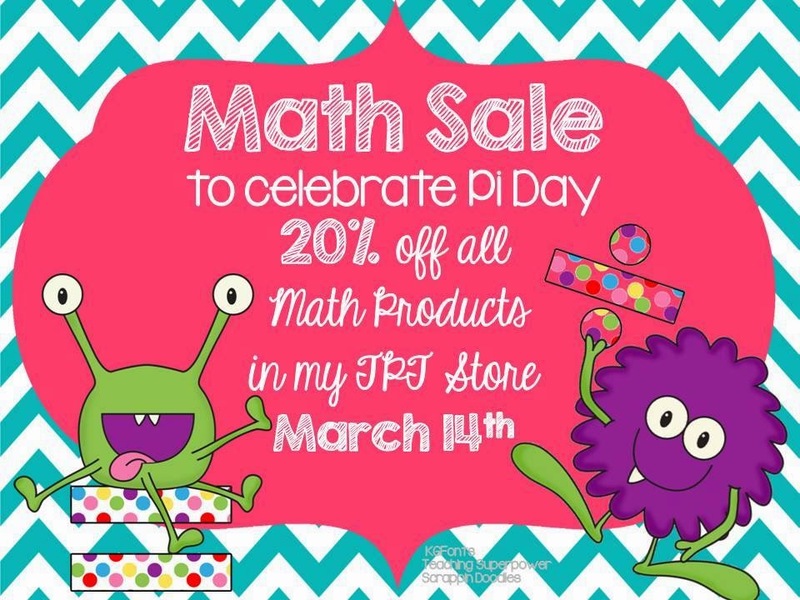 I just wanted to stop in and let everyone know that to celebrate Pi Day today we are offering 20% off all of our Math products in our TPT store! Click here to check them out. Thanks to one of my favorite bloggers, AMC, for creating this adorable image to announce our sale! Enjoy your day teacher friends!